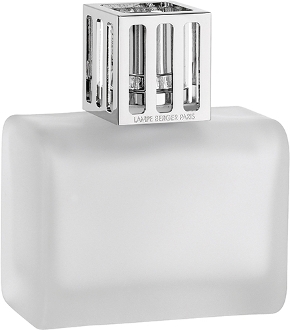 The Lampe Berger Quadri frosted lamp is rectangular with rounded corners in thick angular glass. This is an elegant sturdy lamp! The lamp is provided with a nice gift box with instructions and all the accessories. Imperial Galleries recommends this lamp!